The Reserve is our flagship wine. Always in very limited quantities and produced from just a few rows of our most direct southwest exposed block, the Reserve is almost all Cabernet Sauvignon (clone 4). Some vintages have added a minute amount of Petit Verdot – and are barreled in 100% new French oak (Taransaud) for 20+ months. Due to its intensity, we delay the release of the Reserve until it becomes a bit more approachable, even with a healthy decant! 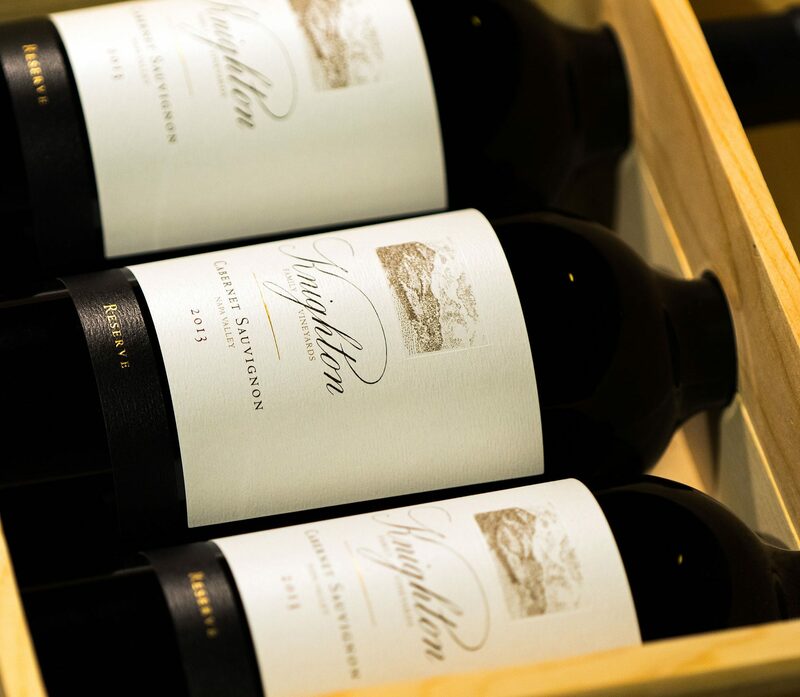 [The] Knighton’s 2013 Cabernet Sauvignon Reserve is an unusually explosive, structured, powerful wine. Inky blue and black fruit, smoke, licorice, menthol, espresso, mocha and lavender fill out the wine’s ample, large-scaled frame effortlessly. This is one of the more powerful wines I have tasted from Knighton.